glock. sig sauer. heckler&koch. smith&wesson. cz-usa. walther & more! You must be 21 years old to rent. Are you new to shooting guns? Don’t worry! Here at The Machine Gun Nest we offer beginner courses for those wishing to try out the sport of shooting. Renting a pistol while you visit our shooting range is an excellent way to test out the waters without making a huge financial commitment. If you haven’t shot many guns, you might not be aware of the completely different experience you will have depending on the type of gun you choose to shoot. Our handguns are an excellent option for range shooting and they can help you build up invaluable shooting skills. The following are some of the new skills you can gain from practicing shooting with a pistol. Improved Accuracy: Handguns can be tricky to shoot accurately due to the size of the gun versus the amount of pressure needed to pull the trigger. When you are shooting a larger gun, like a rifle or shotgun, you have more weight to stabilize the gun while you pull the trigger. Shooting a handgun can improve your accuracy as you learn to hold the gun steady as you apply the needed pressure to the trigger. Better Ability To Withstand Recoil: Although you may envision the recoil from a high caliber shotgun as being the greatest, a lot of handguns pack quite a punch. If you are shooting a handgun with similar ammo to that of a rifle, you will feel the recoil with greater force from the handgun. The lighter weight makes it harder to manage the recoil. However, instead of seeing this as a negative or letting it scare you away, use it as a challenge so you can learn how to handle recoil better. Talk to one of our course instructors about practicing accurate shooting even when recoil is present. One of the greatest lessons you can learn is how to not become so afraid of recoil that you overcompensate and sacrifice accuracy due to your fear. Ready to get started? If you are interested in visiting our indoor shooting range and you want to try out one of our pistol rentals, stop by and talk to our friendly staff. We can help you choose the perfect rental for your needs. Our team is comprised of well seasoned shooting veterans. We are extremely well versed in helping beginners, intermediate shooters, and advanced shooters alike choose the right gun for their needs. 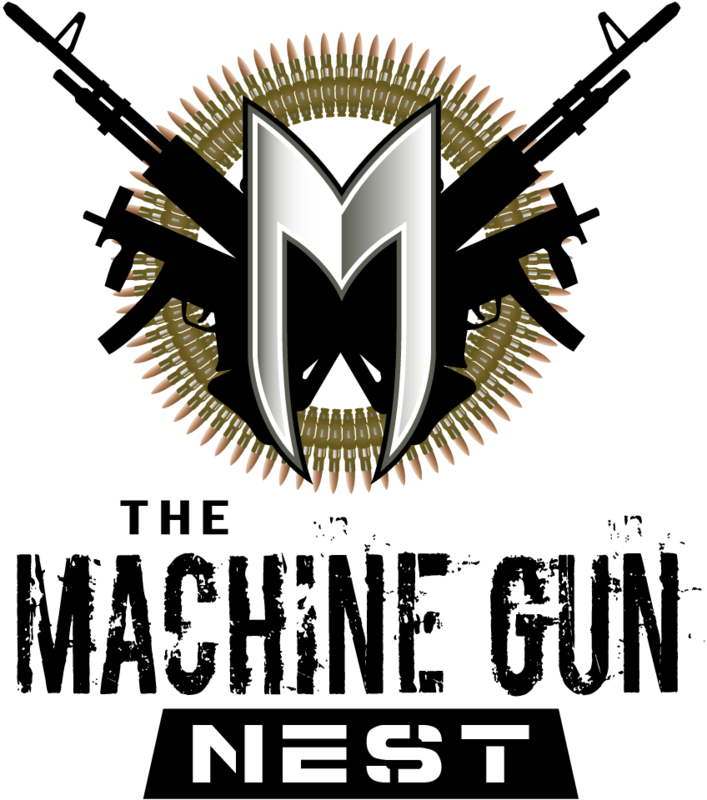 Whether you are looking to hone your skills through further training, or you are just delving into the world of guns, come visit us at The Machine Gun Nest. We make shooting a fun, safe experience for both young and old. Stop by our indoor shooting range, or give us a call if you have any further questions about range shooting or rentals. We look forward to sharing the joy of shooting with you soon.